Win a Ticket to the Fall 2011 Duckie Brown Runway Show! New York Fashion Week is in full force, and if you&apos;re anyone who&apos;s anyone you&apos;re probably VERY aware. Usually, the guest list for shows can be wild impenetrable, but there is such a thing as Fashion Providence! This year, you can win a free ticket to the Fall 2011 Duckie Brown runway show at Lincoln Center on Thursday, February 10th at 1pm. All you need to enter is to have an active Facebook page and an opinion. This season, DB designers Daniel Silver and Steven Cox have reinvented the classic Florsheim Ludgate shoe, an iconic style found deep within the archives of the footwear brand. 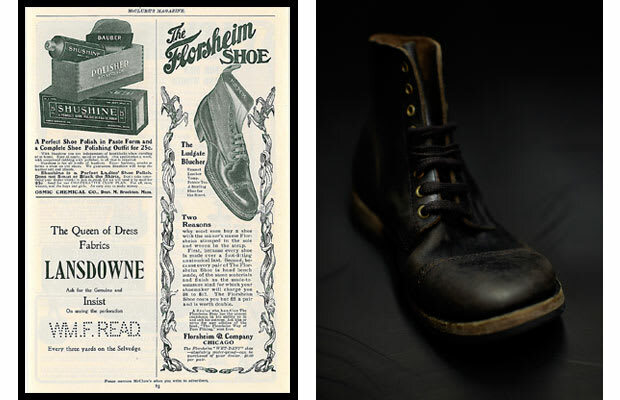 If you head over to Florsheim by Duckie Brown&apos;s Facebook page and post your choice classic Florsheim (monk strap? woven vamp? So. Many. Options.) that you would like Duckie Brown to reinterpret. Act on this quick, the deadline to submit your shoe is 12PM on Wednesday, January 9th - UH, TODAY!!! - and you can vote until 5PM. The winner will be announced shortly after on the Florsheim by Duckie Brown Facebook page. 1. Post an image on the Florsheim by Duckie Brown Facebook wall of a classic Florsheim style that you would like to see Daniel and Steven reinterpret. 2. Click "Like" to vote for the image that you like the best. 3. Invite your friends to become fans and vote for your image. 4. The image that gets the most "Likes" wins! The person who posted that image will win a ticket to the Duckie Brown Fall 2011 runway show, which will feature Florsheim by Duckie Brown shoes on the runway. NOTE: The competiton is for NY-based readers ONLY.